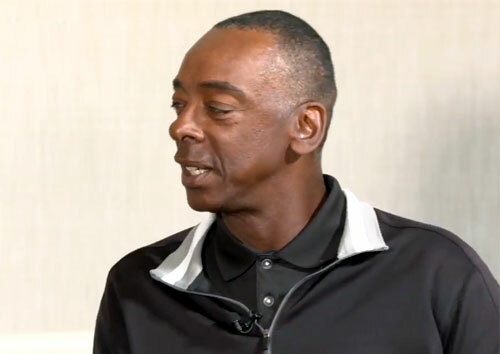 Willie McGee is a former MLB outfielder who played for the St. Louis Cardinals from 1982–1990, the Oakland Athletics in 1990, the San Francisco Giants from 1991–1994, the Boston Red Sox in 1995 and the St. Louis Cardinals again from 1996–1999. McGee is a four-time All-Star for 1983, 1985, 1987 and 1988 plus he is a World Series champion for 1982. McGee was named National League MVP for 1985 plus he is a three-time Gold Glove Award winner for 1983, 1985 and 1986. McGee also is the Silver Slugger Award winner for 1985 plus he is a two-time National League batting champion for 1985 and 1990. Willie McGee was inducted into the St. Louis Cardinals Hall of Fame in 2014. Sports Speakers 360 is a booking agent for pro athletes. If you would like to book Willie McGee for a speaking engagement, appearance or endorsement, contact a Willie McGee booking agent for fees at 1.855.303.5450.